It's that time again for my current favorite beauty products. 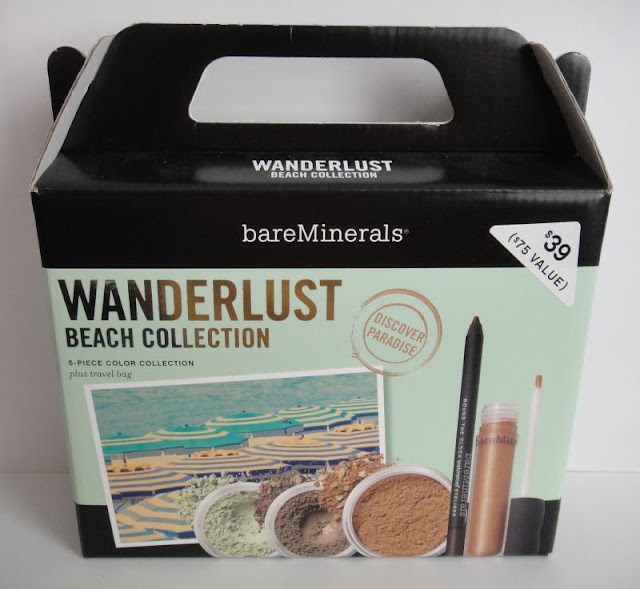 The Wanderlust Beach makeup collection from bareMinerals. I LOVE this stuff. Y'all know I'm not a big makeup person. Skincare, yes! Makeup, not so much. I wear powder, blush and mascara and that's all I've worn for years. I have received compliments on my very natural look and certainly enjoy the two-minute makeup routine each morning. But, with my aging skin....it's time to branch out a bit and draw attention away from the aging areas. At my last trip to ULTA, I picked up this kit thinking I could pull off the beach look. Despite my lack of knowledge in using eyeliner (and therefore, the many wandering lines created with the eyeliner), I finally completed this new look. I love how the green coupled with the sparkly cabana (brownish) color brightened my eyes and the eyeliner really defined them. The powder added a little sparkle to the cheek line as well. 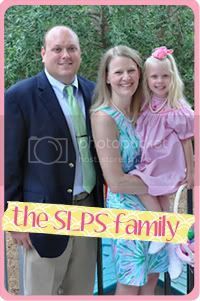 The lip gloss is a very neutral and natural tone, which I love (I never wear lipstick and rarely glosses outside of the natural or light pink tone). Insert awful picture....but you get the drift of the makeup look. I'm still practicing the eyeliner part. Next up. Where have you been all my life and why have I been holding out????? The Chi flat iron. My frizzy, naturally curly hair, after years and years of dealing with Florida humidity is finally straight and not frizzy! 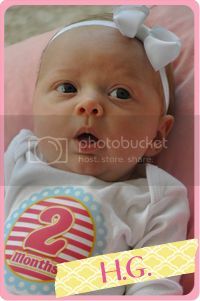 I am in LOVE! But with all that 375 degree heat, I need a little extra protection. 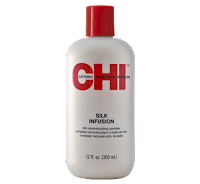 In conjunction with my still favorite leave-in straightening conditioner from Garnier, I'm using the Chi Silk Infusion. 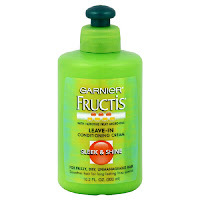 It not only protects my hair from the extreme heat, but gives it a beautiful shine (yes, I've already noticed in just a few applications the extra little shine) and it smells SO good. I was seriously thinking about cutting my hair short again like below (close your mouth dear Husband who wants my hair to be as long as possible....no worries). Now that I found the Chi, I'm not so ready to cut off my untamed hair. In fact, I'm actually loving it! Excuse the over zealousness of the Lilly below. I took this right after my boss looked at me and said, "Could you possibly sport any more Lilly?" This is just how I was thinking of cutting my hair again. 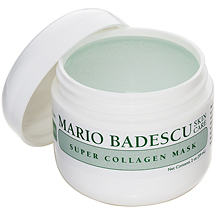 Last but not least, the Mario Badescu Super Collagen Mask. I've used this three times and already notice a tightening of my skin and reduction of redness (in my cheek areas). My pores also feel and look cleaner. It really does what it claims to do. It does say to leave on for 20 minutes but I have a hard time with leaving masks on that long after they've dried. I do not like the dried skin feeling at all. That's it on the beauty front for now! Seriously not happy. The fax machine / printer combo leaked ink ALL OVER my Ann Taylor slacks and Ann Taylor leather shoes. The shoes are fine, my pants....not so much. Oh, and my toes are stained black, not even nail polish remover would get it off. And where it leaked onto my legs through the pants, I look like I have some crazy bruising. The ink went all the way up to my knees! What a way to start off a Monday! 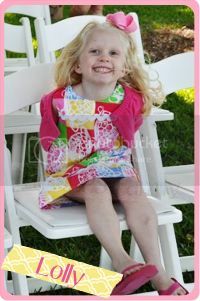 Graduation pictures of sweet little Lallie coming tomorrow!! OMG.... this is awful. One of my work nightmares!! I got ink on white pants the other day and hairspray got it out, but in your case, work should buy you a new pair! I haven't tried my new Bare Minerals yet but I can't wait. And I told you you would love your CHI! I will go out of town without a lot of stuff, but I never leave without my CHI. 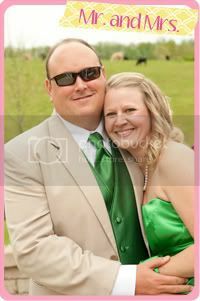 I love your Bare Minerals look! I'm looking into buying that kit now. Welcome! Thanks for the compliment and yes, I moved past the toner incident pretty quickly. The new Bare Minerals look is fab! I may have to get my paws on that little kit! And what with the Boss...boy howdy...your Boss would die if he or she saw my classroom! I mean is it wrong that my desk rocks Lilly? NOT! 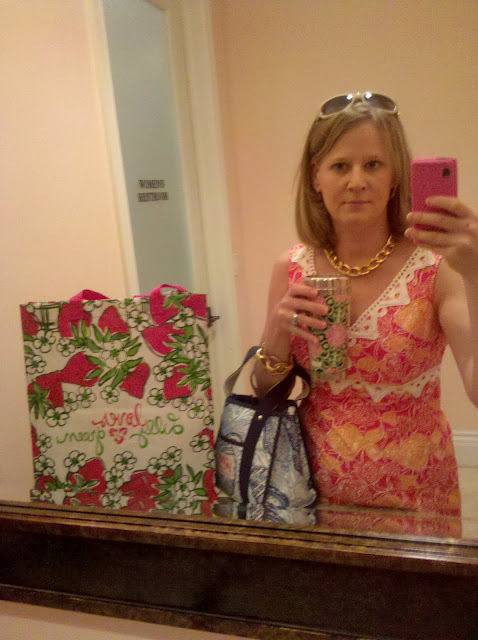 I wear Lilly almost every day! Totally works for some of us! You look adorbs! I love the beach makeup on you- so pretty and I think it suits you! What's nail polish are you wearing on your toes? I meant to post about that actually! It's Essie Mod Podge. I LOVE this color on my fingers and toes. Goes with everything pink! 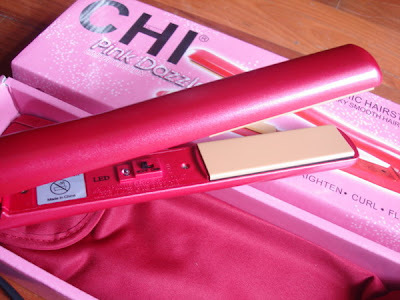 I could not live without my Chi!! I've been using one for almost eight years now! I didn't think it had been that long. As soon as one quits on my I order a new one ASAP. I take it everywhere with me. It's the only thing that will tame this mane! 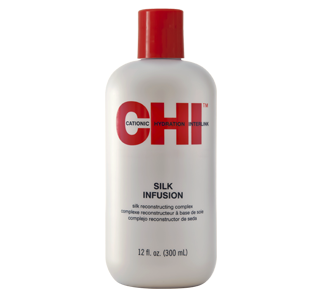 I use the silk infusion too. Love it!